The perfect night to treat the one you love to an evening of elegant service, delicious and creative dishes in romantic surroundings. 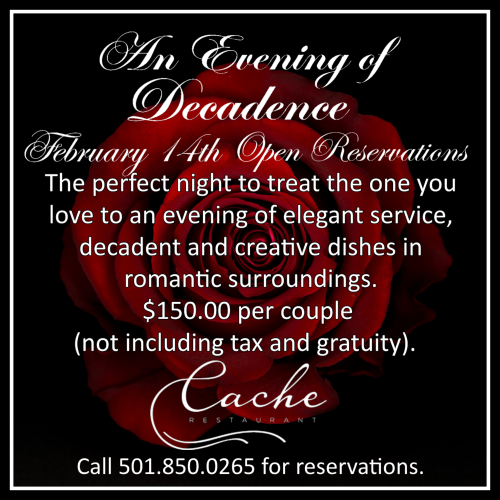 Cache is celebrating Valentine's Day with a decadent menu, a wall of roses, a harpist, a cellist, white glove service, and ice sculptures, everything you can think of to make your evening lavish and romantic. 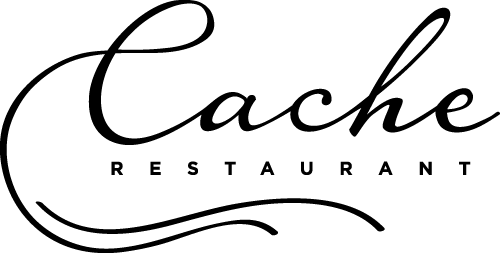 Reservations are open for both upstairs and downstairs, with the cellist and harpist playing downstairs while an acoustic guitar plays upstairs. Seating begins at 5:00 p.m. and the last seating is as 9:00 p.m.